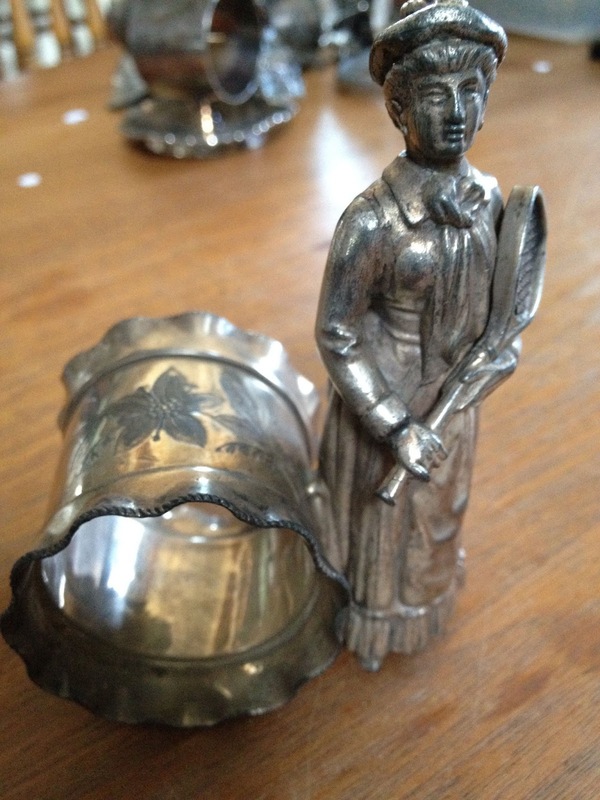 Rare Victorian Figural Napkin Ring. Rogers, Smith & Co. Number 283. 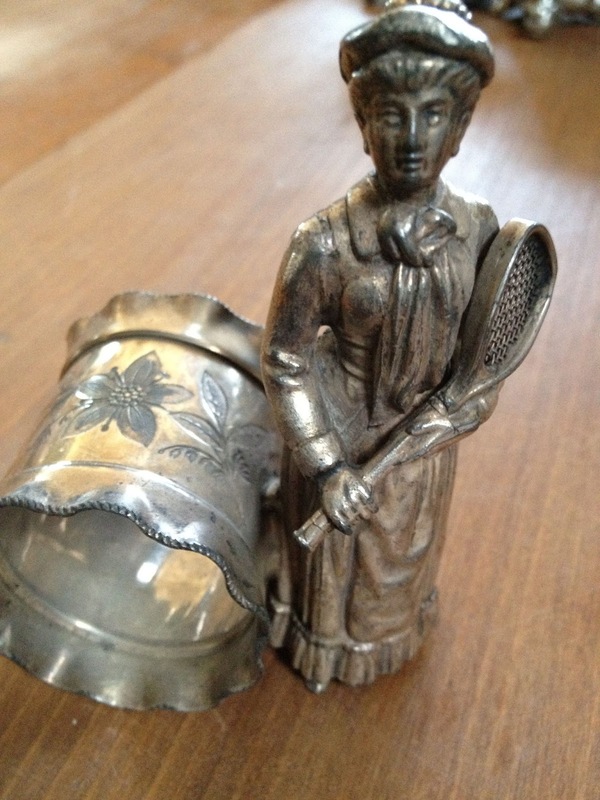 Female tennis player holding a court tennis raquet. She wears a turn-of-the-century dress. Rogers Smith & Co. later became Meridian Britannia Co.